We used our woodcuts to create prints. It was fun, sticky and hard work. 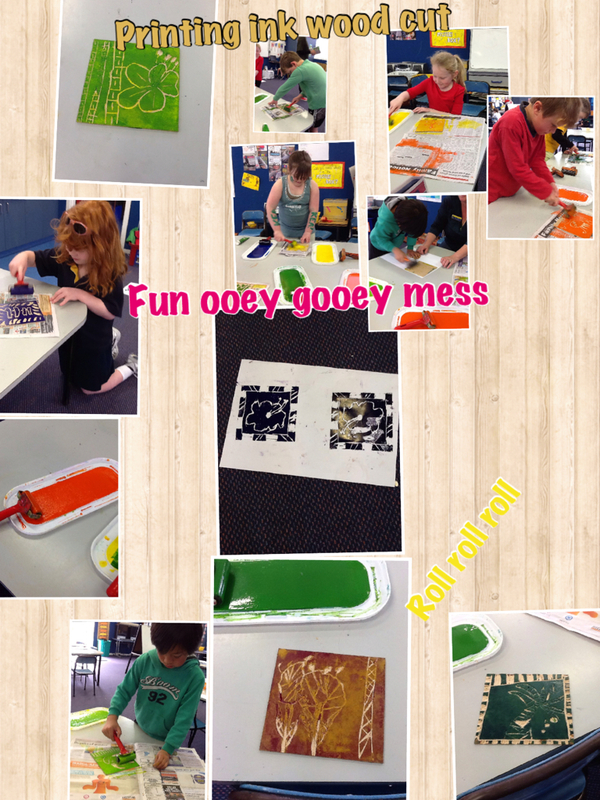 Bella made a Pic Collage about our printing. Come to the school Art Exhibition 'Arts around the Globe' to see all our prints. It begins on Saturday 21 September and runs through to Wednesday 25 September. All classes will have work exhibited and a performance on the screens around the hall. Printmaking is one of my favourite art things to do! Your prints look beautiful and the colours are amazing!